As mentioned at the end of the last post we started off the willow plantation. well, lengths… of one year old stem with about six to ten buds. The willow sticks in their nursery bed... some were too young to leave home!! 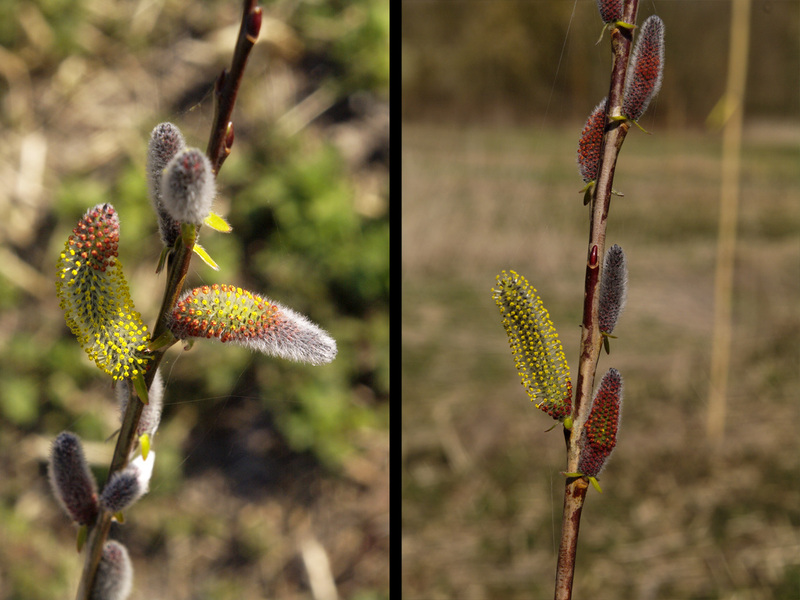 The idea is to plant each length of willow stem where it is going to finally be… in our meadow? You are joking! !…it was difficult enough to find them the way I planted these ones. The willows were of seventeen different varieties in bundles of ten. One hundred and seventy twigs… what we bought are listed below [the ones introduced as 20cm cuttings] and should be buried with around two inches/two buds above ground. So I decided to create two nursery areas… the one pictured above and another one in a damp spot out in the meadow. 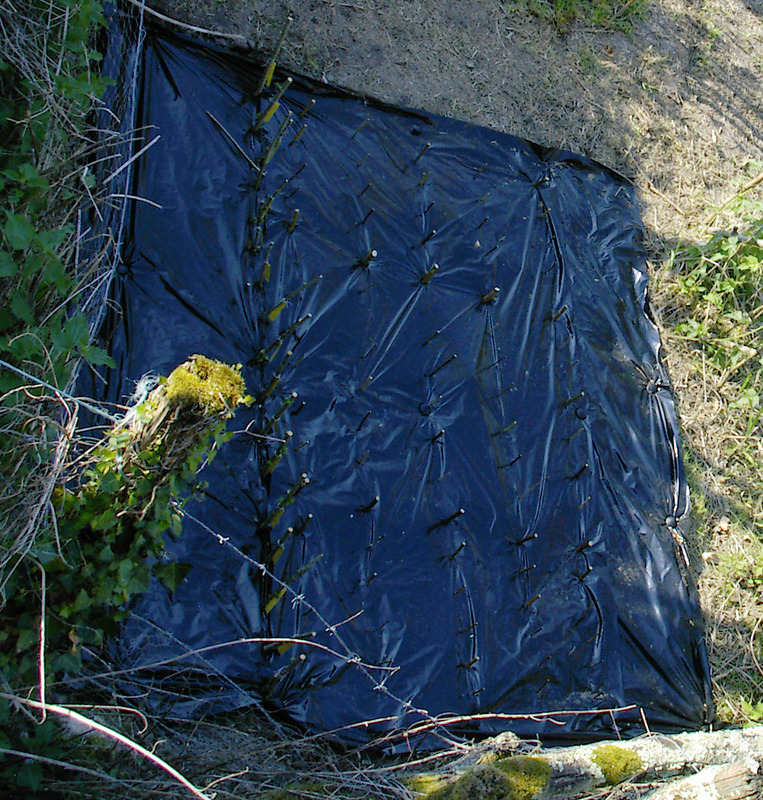 On each row I used a Crack Willow stick to hold the label on the left in the photo above… this year I will plant out the twenty-odd young Crack willow volunteers that were the result… they will form a coppice area towards the riverbank. These are the Sekka catkins... grey against the red bark. The majority of the bought ‘twigs’ took hold in the pictured nursery area… but the success rate was poor in the meadow. That wasn’t surprising… I purchased them in late March and planted them in early April… not really the right time… and as we were still in the UK for much of 2010, they weren’t able to be regularly watered either. These young trees were then planted out in blocks… or patches where there were only two or three survivors… last year… the year of the very hot, dry summer…. again not at all good for young trees that haven’t got roots down deep. If you look at the tree list page, you will see a column marked survivors 2012… I will be going round next week trimming the survivors down to two or three buds on each shoot [and planting the cuttings deep, in situ, to extend the blocks/patches. 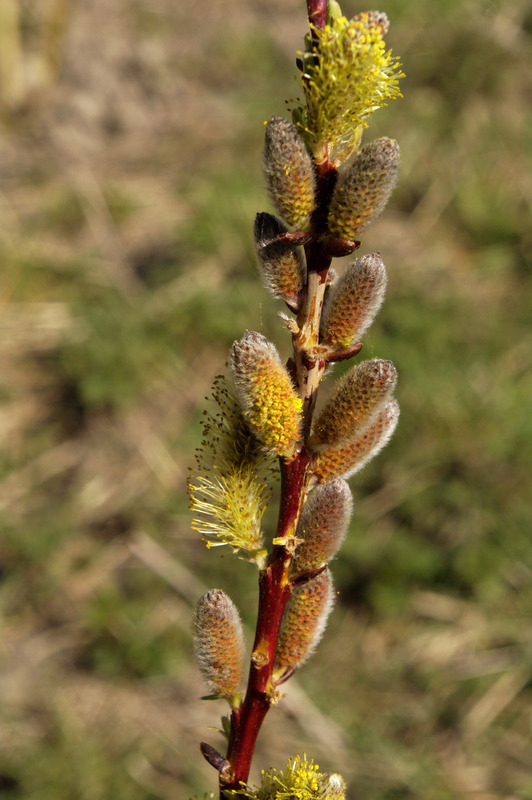 I’m thinking we have “Salix discolor”, an unflattering name to be sure, but early bee fodder for certain. It’s late January now, and the buds are already swelling. I’m telling my bees to hold on for a couple of more weeks for the buds to open for pollen gathering.